The Kenner Star Wars/The Empire Strikes Back stuff starts at 2:43. Brother and sister demo the Wipeout set at 4:04. The mother of all Christmas morning Star Wars videos is here. 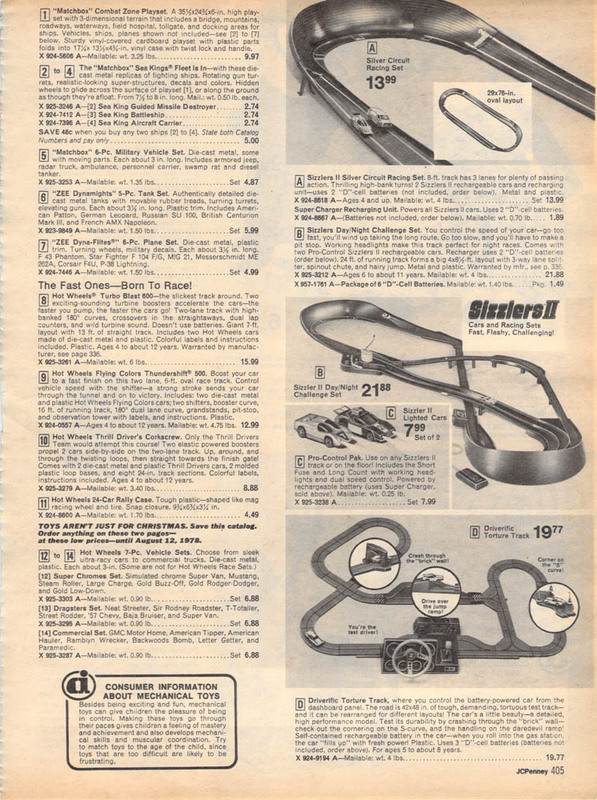 I’d completely forgotten about these. 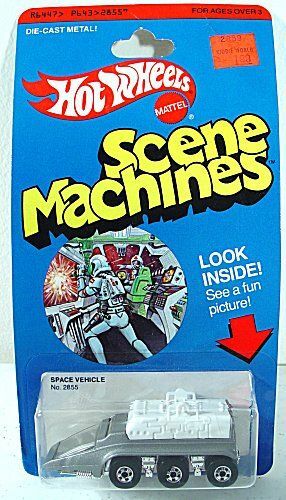 I had the cleverly named Space Van (on the package it was called Space Vehicle). 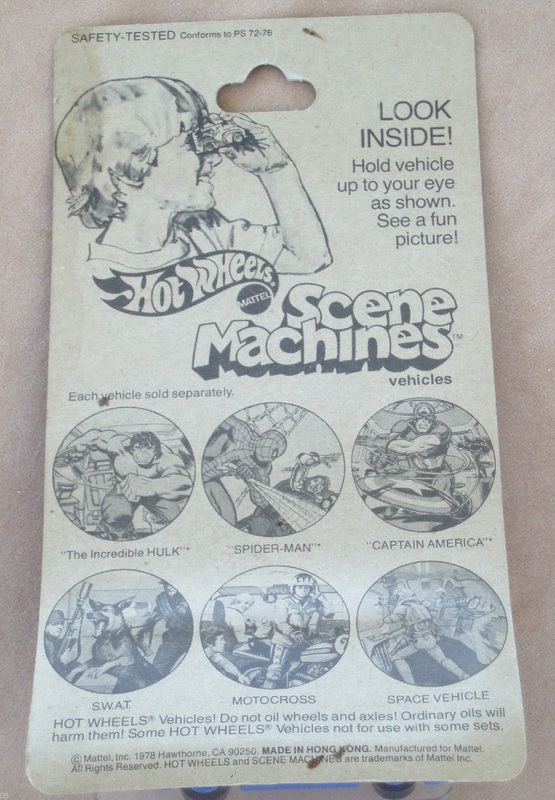 You looked through a viewer in the back of the van and saw what was going on inside—the Hulk, for instance, was smashing stuff. 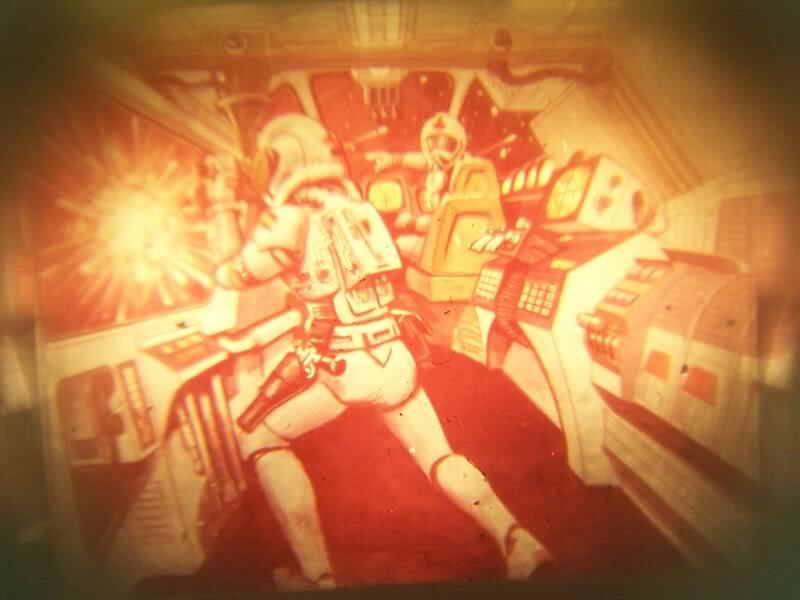 It doesn’t sound like much, but it was a cool illusion, a momentary voyeuristic satisfaction. 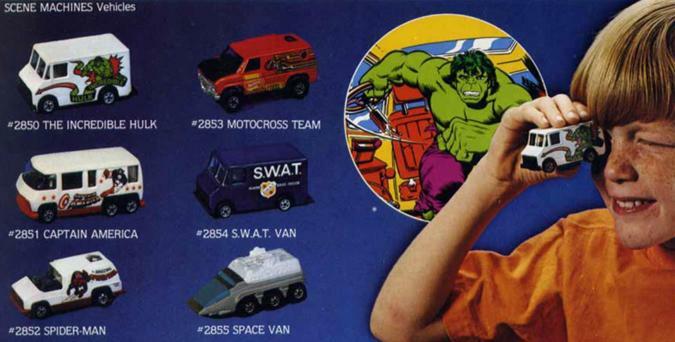 It’s not like we’d ever find out what was going on inside the real vans the older kids inhabited. 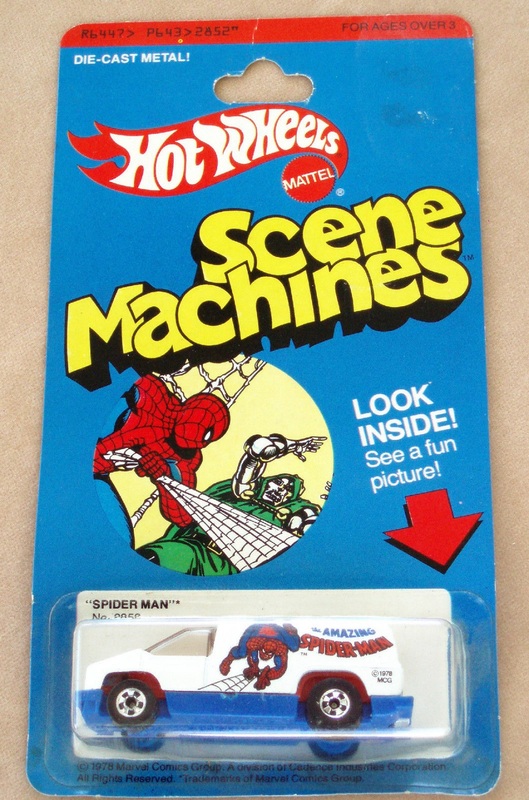 The Scene Machines were released in ’79 and continued to be produced until at least ’81. You can see some later models (Thor and the Human Torch included) at Plaid Stallions. 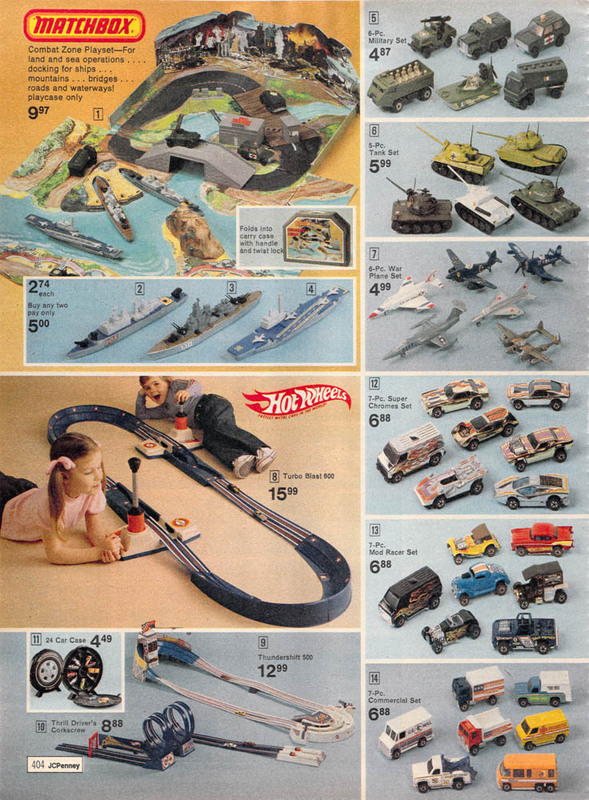 The Matchbox Combat Zone was a play case only. You had to buy all the vehicles separately. I guess it’s a riff on the Marx war sets, but not a very good one. If that doesn’t sound familiar, take a look at this video. It’s a lot more fun when you’re racing someone.